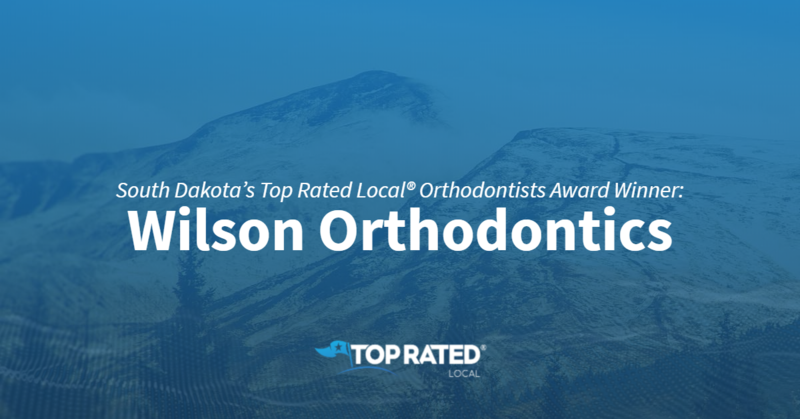 Top Rated Local® is pleased to announce that Wilson Orthodontics is a two-time 2019 award winner in South Dakota! For a beautiful smile in Sioux Falls, there’s no better option than Wilson Orthodontics. Wilson Orthodontics has received hundreds of reviews on four verified sites with an average rating of 4.89 stars, earning them a phenomenal Rating Score™ of 96.94 and two 2019 Top Rated Local awards for being ranked among the top 100 businesses and the top 10 orthodontists in all of South Dakota! “I can’t say enough about Dr. Wilson and his staff. His entire team is knowledgeable and always friendly. Being an adult going through the orthodontic process, they made the entire experience enjoyable. After researching and getting multiple opinions with other offices before deciding to get braces, I am extremely happy with my decision to go with Wilson Orthodontics. I would highly recommend their office to anyone.” – Chad S.
In order to learn a little more about this award-winning business and its stellar online reputation, we took a few minutes to talk with Patty Wilson, Businesses Manager at Wilson Orthodontics. The first thing we wanted to know was what it is that sets Wilson Orthodontics apart from their competition in South Dakota. Patty told us that they develop relationships with their patients and that Dr. Wilson has been practicing for 30 years total — nine in their Sioux Falls location. We also wanted to know what their mission is at Wilson Orthodontics and how they work to make the world a better place. Patty shared with us that their goal is to help patients gain confidence by creating beautiful smiles. The commitment that the team at Wilson Orthodontics has to developing relationships with their clients and helping them gain confidence through stunning smiles has led to a strong reputation both online and off. Outside of building that powerful reputation, Wilson Orthodontics has gotten their name out there through Facebook and television ads. There are so many business owners who would love to build the kind of online reputation Wilson Orthodontics has. When we asked what advice she has for them, Patty emphasized the importance of having a website that is user-friendly, easy-to-navigate and eye-catching. Congratulations to the team at Wilson Orthodontics for being a 2019 Top Rated Local award winner, and thank you so much, Patty, for taking the time to speak with us! We highly recommend Wilson Orthodontics in Sioux Falls. Visit their website today! Top Rated Local® is pleased to announce that Frigo Orthodontics is an award winner for orthodontists in 2019. Frigo Orthodontics is a company known for excellent service and a heart dedicated to its community. We highly recommend visiting them for your next dental visit. 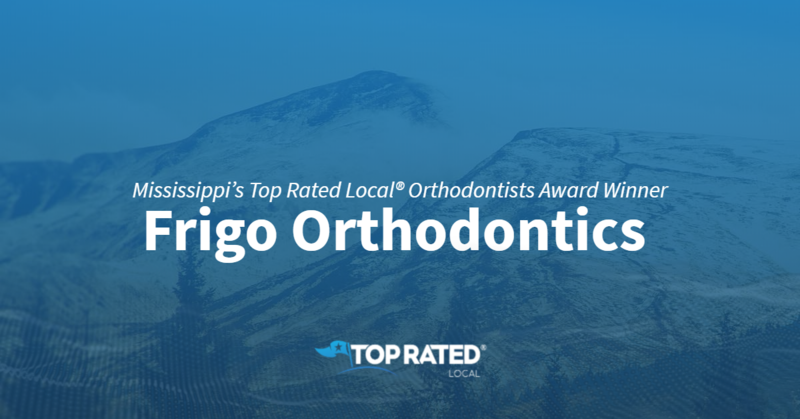 Frigo Orthodontics has received thousands of overwhelmingly positive reviews across five different verified sites with an average rating of 4.90 stars, earning them an impressive Rating Score™ of 98.99 and two 2019 Top Rated Local awards — one for ranking as one of the top 15 businesses in Mississippi, and one for ranking as one of the top three orthodontists in Mississippi! “Frigo Orthodontics is my favorite place to go! From the moment you walk into their office, the smiles, the beautiful beach decor, the refreshments offered, [all offer a] welcoming feeling like you just came to visit family. You get top-notch care while you get your smile perfected. I highly recommend them to anyone. If you [need] braces, I would…try them out! You won’t be disappointed.” – E.R. It is because of excellent reviews like this that Frigo Orthodontics is now able to call themselves a Top Rated Local award winner! We were excited to learn all about how Frigo Orthodontics has been able to build such an impressive reputation, so we sat down with the Treatment Coordinator, Courtney Thomas. Congratulations to Frigo Orthodontics for being a 2019 Top Rated Local award winner, and special thanks to Courtney for taking the time to speak with us! Top Rated Local® is pleased to announce that Central Minnesota Orthodontics is a 2019 award winner for orthodontists in Minnesota! Whether you are wanting to create a beautiful smile for yourself or your children, we are confident that Central Minnesota Orthodontics will do the job nicely! Central Minnesota Orthodontics has over 150 reviews on four verified sites with an average rating of 4.85 stars, earning them an incredible Rating Score™ of 97.52 and a 2019 Top Rated Local award for ranking among the top 10 orthodontists in all of Minnesota! “My son just got his braces placed, and we are so pleased with the service. From the financing (working with insurance) to the actual placement of brackets to the helpful tips and goodies, [they have] helped him be successful in this journey. Thanks, Dr. Kyle and staff!! We are impressed!” -Missy K.
We wanted to learn a little more about this award-winning business and its impressive online reputation, so we took a few minutes to talk with Dr. Kyle Knudsen, a partner along with Dr. Rebecca Hanson at Central Minnesota Orthodontics. We also wanted to know what their mission is at Central Minnesota Orthodontics and how they work to make the world a better place. They are set apart by a series of core values that aim to provide: exceptional customer service, outstanding experiences, team member happiness, the highest quality care, continued education, a fun atmosphere, and last but not least, a beautiful smile. Outside of building a powerful online reputation, Central Minnesota Orthodontics has gotten their name out there through their online presence via social media, paid ads with Google and Facebook, as well as some radio and billboard advertising. Congratulations to the team at Central Minnesota Orthodontics for being a 2019 Top Rated Local award winner, and thank you so much, Dr. Knudsen, for taking the time to speak with us! Visit their website here! Top Rated Local® is pleased to announce that Petrous Orthodontics is a 2019 award winner for orthodontists in Michigan! For a straighter, more beautiful smile, there’s no better orthodontist to turn to in Madison Heights than Petrous Orthodontics. Petrous Orthodontics has received more than 100 reviews on four verified sites with an average rating of 4.95 stars, earning them an incredible Rating Score™ of 97.52 and a 2019 Top Rated Local award for ranking among the top 10 orthodontists in all of Michigan! “We would highly recommend Dr. Petrous! At our son’s first visit with Dr. Petrous, he immediately found a way to connect with him and make him feel very comfortable. He was always happy to see Dr. Petrous each and every visit. He gave us a clear diagnosis of the work [my son] needed, and it turned out to be just as he said. Our son’s teeth look beautiful now. We are very happy with the results.” – Anna O.
Dr. Jerek Petrous, the owner of Petrous Orthodontics, generously gave us a few minutes of his time to tell us about his award-winning business and its impressive online reputation. Dr. Petrous went on to tell us that they are open on Saturdays for the convenience of their patients. 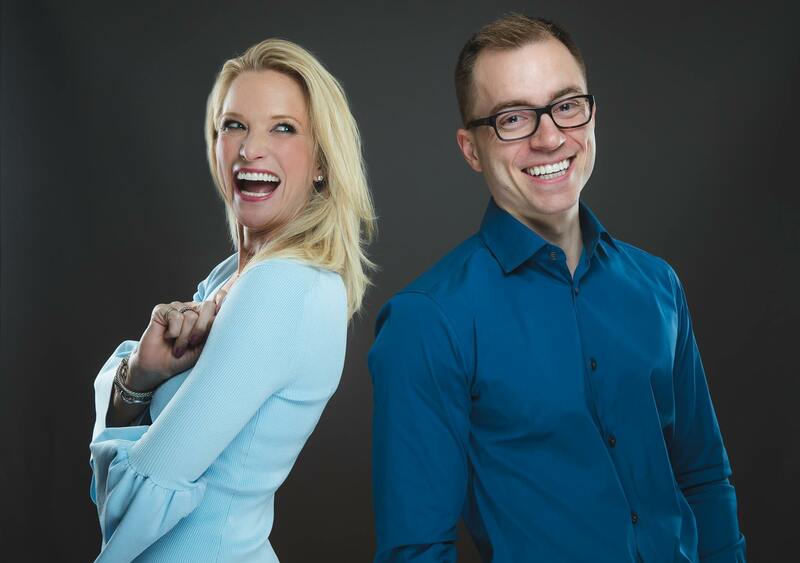 When asked about Petrous Orthodontics’ secret to a strong online reputation, Dr. Petrous told us that their work speaks for itself. Congratulations to the team at Petrous Orthodontics for being a 2019 Top Rated Local award winner, and thank you so much, Dr. Petrous, for taking the time to speak with us! For the smile of your dreams, we highly recommend working with Dr. Petrous and his team at Petrous Orthodontics. Visit their website today! Top Rated Local® is pleased to announce that Jesperson Orthodontics is an award winner for orthodontists in 2019. If you are looking for an orthodontist who believes in building personal relationships with their patients, look no further than this award-winning company! Jesperson Orthodontics has received many overwhelmingly positive reviews across a variety of verified sites with a perfect rating of 5.00 stars, earning them an impressive Rating Score™ of 86.40 and a 2019 Top Rated Local award for ranking in the top 10 best orthodontists in North Dakota! “While traveling…my son broke a wire on his appliance. Dr. Jesperson came in on Saturday to fix the situation. Very awesome! Thanks a ton, Doctor Jesperson!” – Michael M.
It is because of excellent reviews like this that Jesperson Orthodontics is now able to call themselves a Top Rated Local award winner! In order to learn more about how Jesperson Orthodontics has been able to build up such an incredible reputation, we took the time to chat with Sarah Engen, Jesperson Orthodontics’ bookkeeper. 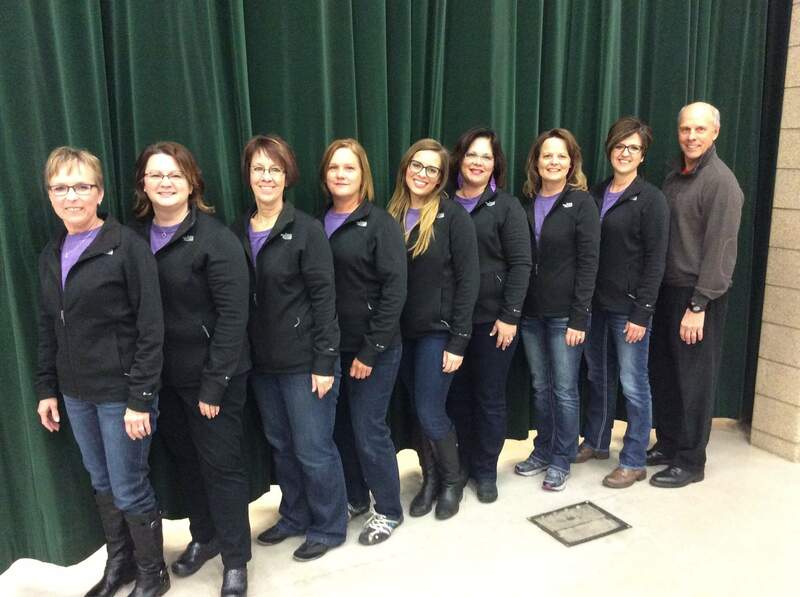 The first thing we wanted to know more about was how Jesperson Orthodontics stands out from the crowd. We wanted to know what it is that makes them different from any other orthodontist. On that subject, Sarah shared with us the loyalty and longevity of their staff. Jesperson Orthodontics has been open for over 30 years and, in that time, has retained their first two staff members. Sarah shared that the majority of the staff have been working at Jesperson for over 20 years. Congratulations to Jesperson Orthodontics for being a 2019 Top Rated Local award winner, and special thanks to Sarah for taking the time to speak with us! 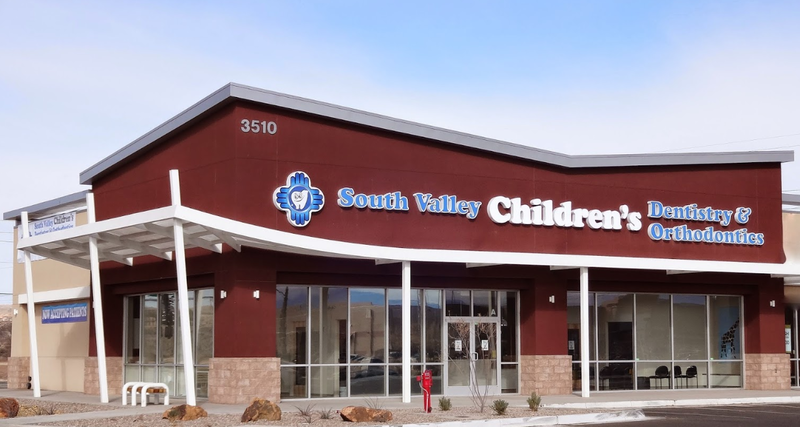 With a 97.44 Rating Score™, a 4.94 average star rating, and more than 400 reviews on verified sites, South Valley Children’s Dentistry & Orthodontics has earned a spot among the top 50 businesses in New Mexico, as well as the top 10 dentists and orthodontists in the state. Marketing Director, Deanna Alberts, took some time to speak with us about the business’ online reputation and overall success. “South Valley Children’s Dentistry & Orthodontics is a great place! I have been taking my kids there for three years now, and the staff is friendly and always professional. [Our doctor] is great at what she does! My 14-year-old son has braces and my daughter is seven, and they are happy every time! I would recommend this place to anyone who is in need of a great Dentistry or Orthodontics.” -Valerie M.
“Me and my child had an AWESOME experience! They were very professional, and the clinic was clean and state of the art. The best part was how they treated my son on his visit. They made him feel comfortable and we will continue to keep them as our family dentist. Thanks again to [the South Valley Children’s Dentistry & Orthodontics team] for making this trip the most pleasant.” -Lawrence A. Thank you for speaking with us, Deanna! Congratulations to the team at South Valley Children’s Dentistry & Orthodontics for being a 2019 Top Rated Local award winner! 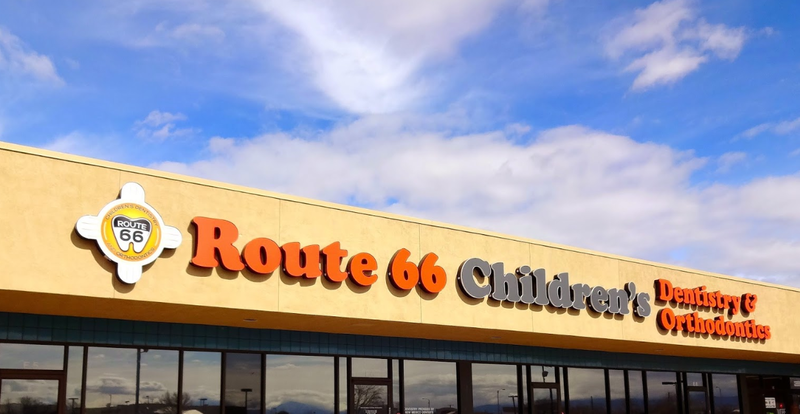 Top Rated Local® is pleased to announce that Route 66 Children’s Dentistry and Orthodontics West is a 2019 award winner! “We recently moved to the area. My son had never been to the dentist here, but he had a bad tooth. They got me in on the same day and extracted the tooth the very next day. All his fear from past dentists is gone. They did a great job in a timely manner.” -Brandy S.
We spoke with Deanna Andrew, the marketing director of Route 66 Children’s Dentistry and Orthodontics West, about the business’ online reputation. Congratulations to the team at Route 66 Children’s Dentistry and Orthodontics West for being a 2019 Top Rated Local award winner, and thank you so much, Deanna, for taking the time to speak with us! 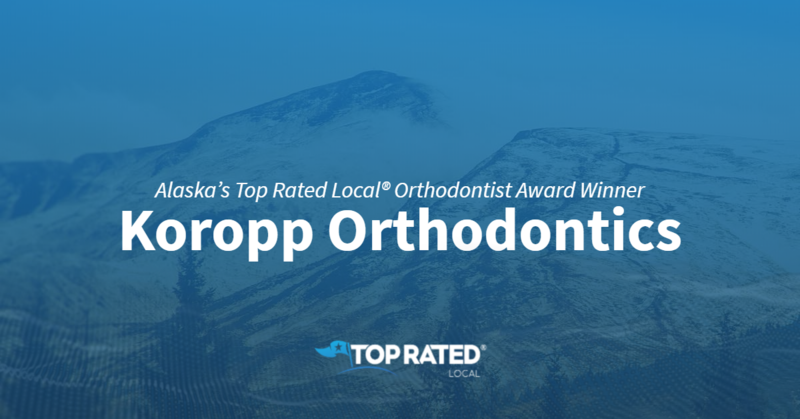 Top Rated Local® is pleased to announce that Koropp Orthodontics is not only one of the top three orthodontic offices in Alaska, but one of the top 100 businesses in the state overall! “I just got my braces off, and all I can say is THANK YOU! After having some unethical experiences growing up with horrible dentists, I was more than pleased with Dr. Koropp and his staff. They were always friendly, kind and willing to really listen to me and my concerns. Thank you for not only putting me at ease and giving me quality care, but for giving me the confidence I needed to find an orthodontist for my daughter when she is ready for braces. I HIGHLY recommend Dr. Koropp for your whole family and their orthodontic needs.” -Sarah S.
Reviews just like this have earned Koropp Orthodontics a 95.00 Rating Score™, a perfect 5.00 average star rating, and a 2019 Top Rated Local award! We spoke with Katie Ryan, the marketing coordinator at Koropp Orthodontics, about the business’ terrific online reputation. Congratulations to the team at Koropp Orthodontics for being a 2019 Top Rated Local award winner, and thank you so much, Katie, for taking the time to speak with us! Top Rated Local® is pleased to announce that University Orthodontics is not only one of the top five orthodontists in the state of Alabama, but one of the top 100 businesses overall! “I would highly recommend University Orthodontics to anyone who needs dental work in the area. Every member of their staff was friendly and professional. While I’m sure they have dozens of patients, within my first couple visits, every staff member knew my name. The doctors answered all my questions clearly and concisely and were truly a joy to work with. 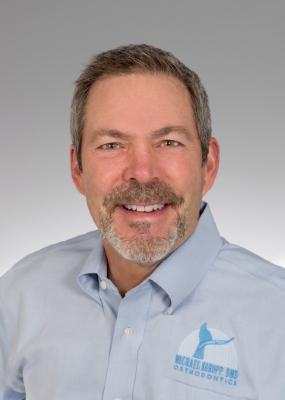 Almost three years of braces were made bearable thanks to University Orthodontics.” -Jason G.
Jason Goltz, owner and orthodontist at University Orthodontics, took some time to speak with us about his business’ online reputation. University Orthodontics doesn’t do much in way of marketing. In fact, they gain most of their business through word of mouth and referrals. Although, they do utilize social media and work hard to keep with the times. What’s Jason’s advice for other businesses that want a phenomenal online reputation? Thank you for speaking with us, Jason! 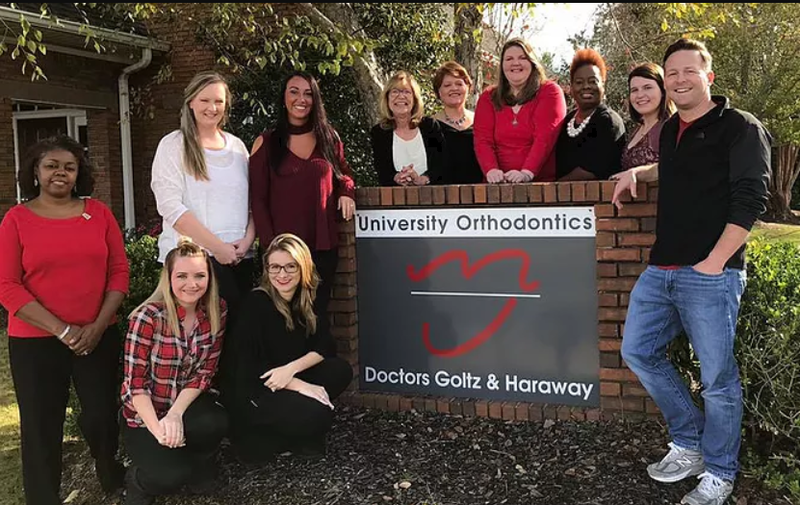 Congratulations to the team at University Orthodontics for being a 2019 Top Rated Local award winner! 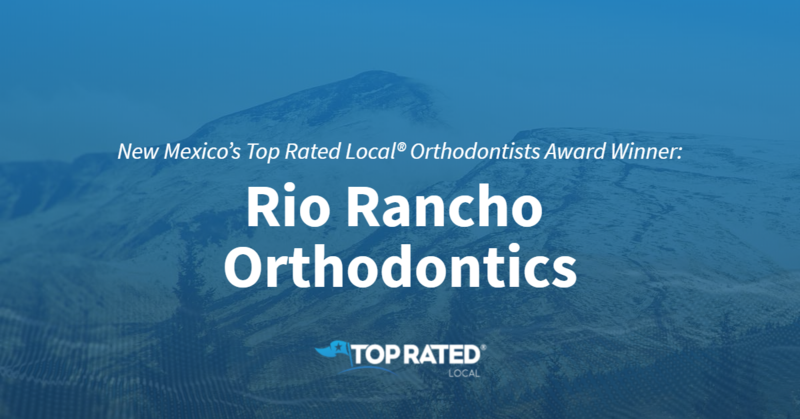 Top Rated Local® is pleased to announce that Rio Rancho Orthodontics is a 2019 Top Rated Local award winner for orthodontists in New Mexico! If you’re looking for an orthodontist in Rio Rancho that can help you achieve a straighter, more beautiful smile, look no further than Rio Rancho Orthodontics. Rio Rancho Orthodontics has received hundreds of reviews on six verified sites with an average rating of 4.91 stars, earning them a stupendous Rating Score™ of 99.14 and a 2019 Top Rated Local award for ranking among the top 10 orthodontists in all of New Mexico! “Great doc and staff! They are professional and friendly and very willing to work with their patients’ requests. They even celebrated and honored my daughter with beautiful flowers when her braces were removed! Thank you, Rio Rancho Orthodontics!” – Audrey M.
Rio Rancho Orthodontics is not your average orthodontist office. According to Camille, the office manager at Rio Rancho, patients aren’t filtered in and out; instead, they make it a point to ensure that every patient gets a good amount of time with Dr. Alkire. In fact, the shortest appointment time is 30 minutes. This way, Dr. Alkire has plenty of time to answer the patient’s questions and take care of them properly. Furthermore, they offer a free hour consult with Dr. Alkire to answer questions and share expertise. The team at Rio Rancho Orthodontics doesn’t pressure their patients to do anything, and they always recommend that patients get a second option when necessary. And although Rio Rancho is a small office, they invest in training and education for their employees, and in excellent equipment, to ensure the best patient care. Last but certainly not least, Rio Rancho Orthodontics accepts Medicaid, which is not something most practices do. But no matter how a patient pays, every patient is treated the same way. Camille credits Rio Rancho Orthodontics’ strong online reputation to the fact that they prioritize their customers. Outside of building a powerful online reputation, word of mouth has been the main source of growth for Rio Rancho Orthodontics, but they also get a lot of business from Facebook, where they often post “hometown feeling” pictures. Furthermore, they are active in their community, and they have close relationships with other dentists who often refer patients to them. In return, Rio Rancho shows their appreciation by delivering baked goods. Congratulations to the team at Rio Rancho Orthodontics for being a 2019 Top Rated Local award winner, and thank you so much, Camille, for taking the time to speak with us! For a straighter, more beautiful smile, we highly recommend Rio Rancho Orthodontics. Visit their website today!